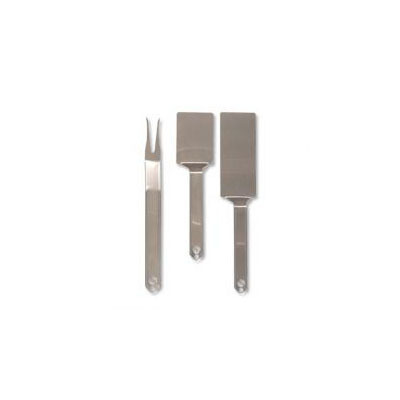 The Wilmington Grill utensil set is made from heavy duty 304 stainless steel and is design to last a lifetime. The set includes fork, regular spatula and extra long spatula. Each piece has the Wilmington Grill logo in it to make the set a nice complement to your grill.